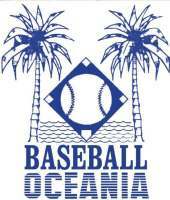 The Baseball Confederation of Oceania was established in 1989, it currently has 14 member nations. 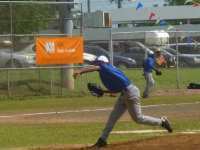 Baseball arrived in most parts of Oceania as a result of USA influence; particularly following World War I. The Confederation’s objectives are to represent the interests of member baseball federations and to foster the development and participation in baseball activities and conduct WBSC Qualification chamionships for U12, U15,U18 U23 & Senior (Men and Women) within the Oceania Region. 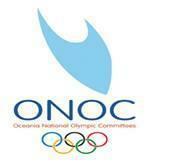 On August 2, 2005, the Oceania Softball Confederation was established by representatives of nine of the 13 member nations of Oceania’s National Olympic Committees (NOCs) and ISF members at a meeting in Palau. A constitution was approved and elections were held for officers as well as executive board committee members. The Confederation’s objectives are to represent the interests of member softball federations and to foster the development and participation in softball activities within the Oceania Region. ISF VP/Oceania Bob Steffy, who is Secretary General/Treasurer of the Guam NOC, was elected president of the Oceania Softball Confederation. Discussed in 2017 and to be ratified formally by the Baseball Confederation of Oceania (BCO) and Oceania Softball Confederation (OSC), the OCEANIA governing bodies for baseball and softball, respectively. Under OBSC's organizational structure, BCO and OSC now serve as the Baseball Division and Softball Division of OBSC. Each division is governed by an Executive Committee, while the OBSC is governed by an Executive Board. OBSC's members hold the rights to organize and select National Teams. This exclusive authority of the OBSC and its Members in each constituent country to sanction and regulate the sport of baseball and softball applies in the territories in which the OBSC has an associated National Federation. Discussions to merge baseball and softball world governing bodies were sparked by a Memorandum of Understanding that saw baseball and softball leaders agree to form a joint bid by WBSC to be added to the 2020 Olympics Games sports program.